Blogger Buster: How do I find a blog on Blogspot? How do I find a blog on Blogspot? Many blogging services and social networks allow visitors to search for sites and users hosted on their service by keywords or tags. For example, those visiting Tumblr can search for posts tagged "Blogspot", or visit Wordpress.com to search for posts tagged with Google. Unfortunately, there is no built-in feature to find posts or blogs which are hosted on Blogger. So in this post I'll explain methods you can use to connect with like-minded people and find interesting blogs to read on Blogspot. 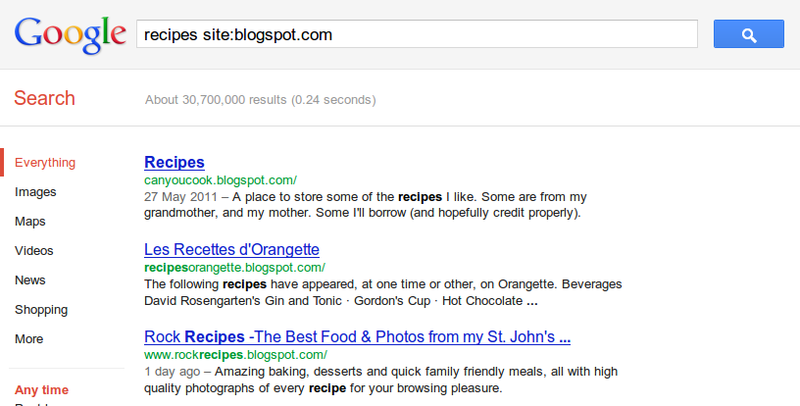 In my opinion, the most effective way to search for a blog on Blogspot is to search the *blogspot.com subdomain on Google. Another way of achieving the same thing is to use the "Advanced" search feature of Google and specify "blogspot.com" in the domain name section. The downside of this method is that it excludes those using a custom domain for their Blogger-based site. 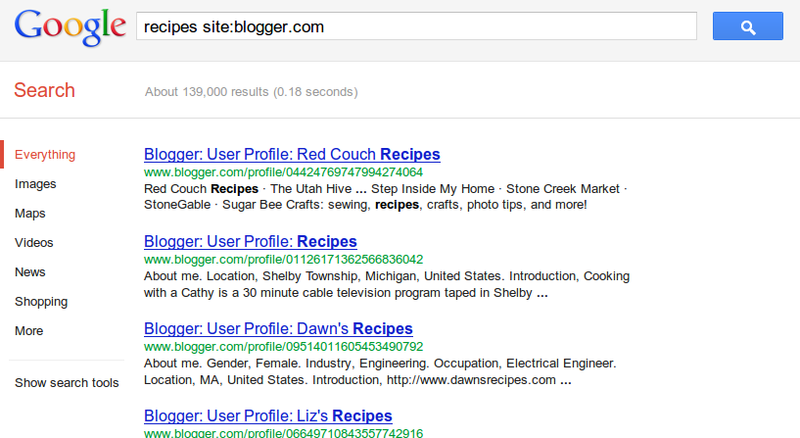 Another way of finding interesting blogs on Blogger is to search Blogger profiles for your keywords. Alternatively, if you are still using a Blogger profile you can click on the linked interest keywords in your profile page to find the profile pages of other like-minded Blogger users as explained in this excellent post by Blogger Sentral. However, Blogger profiles are gradually being phased out and replaced with Google+ profile pages. As more Blogger users update their profiles to the new Google+ option, it will become increasingly difficult to find blogs on Blogspot in this way. While this may be useful in finding randomly selected sites (and includes those who blog on custom domains), it cannot be used to find blogs of particular interest to us. Furthermore, many bloggers choose to hide the navbar, so when stumbling across a site in which the navbar is hidden you won't be able to navigate to the next random selection. Do you have any tactics for finding blogs on Blogspot which I haven't covered in this article? Did you find this post useful? Please feel free to leave your thoughts and comments below. Create a contact form with Google Docs? Blogger rolling out local domains?